You’ve walked 2,983 miles! That’s more than the length of the Sahara Desert, which stretches from the Atlantic Ocean to the Red Sea. 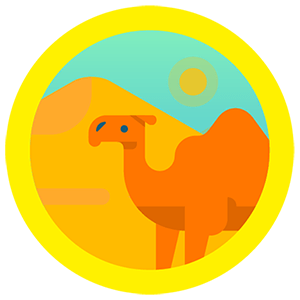 Congratulations on making it over this huge hump and securing the Sahara badge.